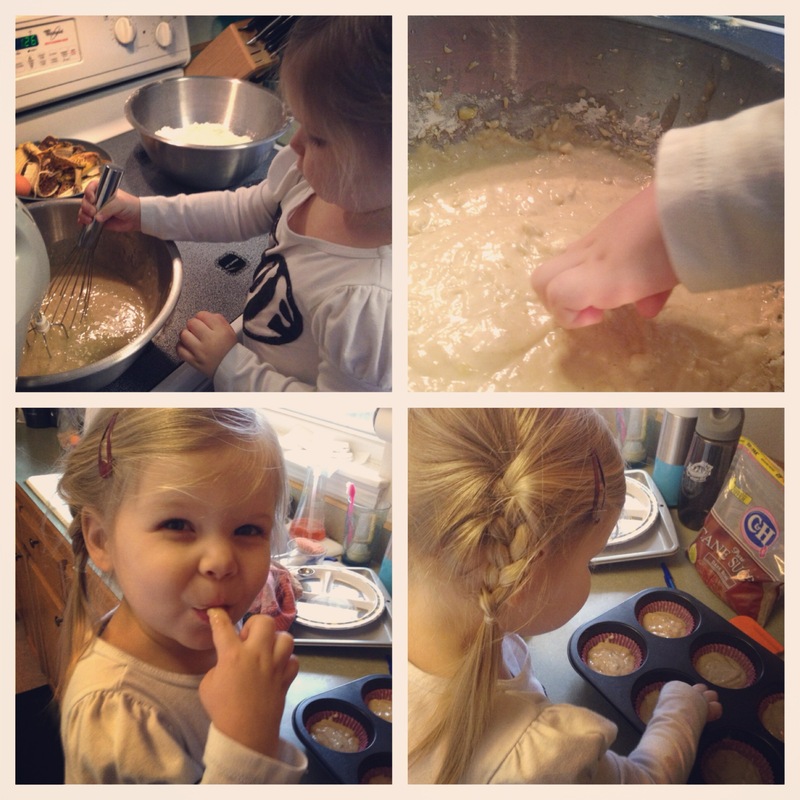 the little she loves muffins. more than snow. more than puppy dawgs. more than chocolate. more than dora. probably more than her own family. she seriously goes ca-razy (insert pauly shore voice) when i tell her we have muffins, will be making muffins, or will be eating muffins that day. these are her favorite muffins these days. and mine too. 1. preheat oven to 350. lightly spray muffin tins with non-stick spray (i like to use coconut oil spray). 2. in a medium sized bowl whisk flour, baking soda, baking powder, cinnamon, and salt until combined. in a large bowl with an electric mixer, beat mashed bananas, brown sugar, yogurt, oil, vanilla, and egg. slowly add dry ingredients and mix on low until combined. 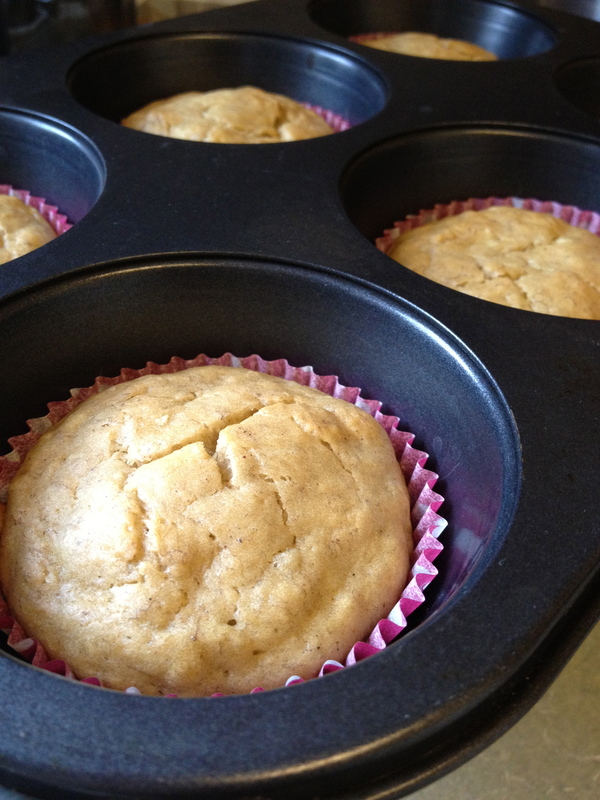 3. scoop batter into muffin tins (or paper cups) and bake until golden brown, about 20-25 minutes. cool on a wire rack. this buttery, blueberry-y brunch beauty has stolen my heart and my taste buds. 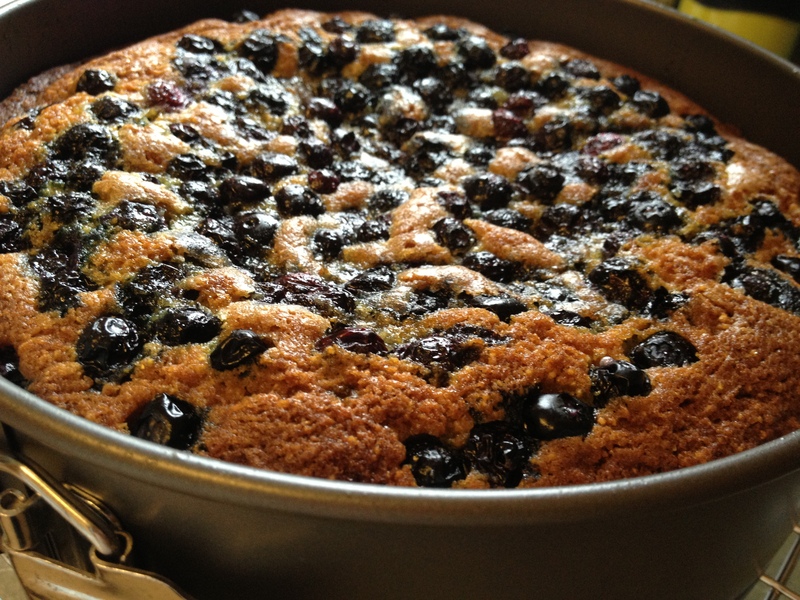 it is the recipe from huckleberry bakery & cafe in santa monica CA that was published in bon appetit a few years back. i tried it this week on a good friend of mine and her toddler and i think it’s safe to say we were all pretty happy with the results. the consistency of this cake is thicker in order to stand up to the loads of blueberries at the center and on top of this all-around loveliness. 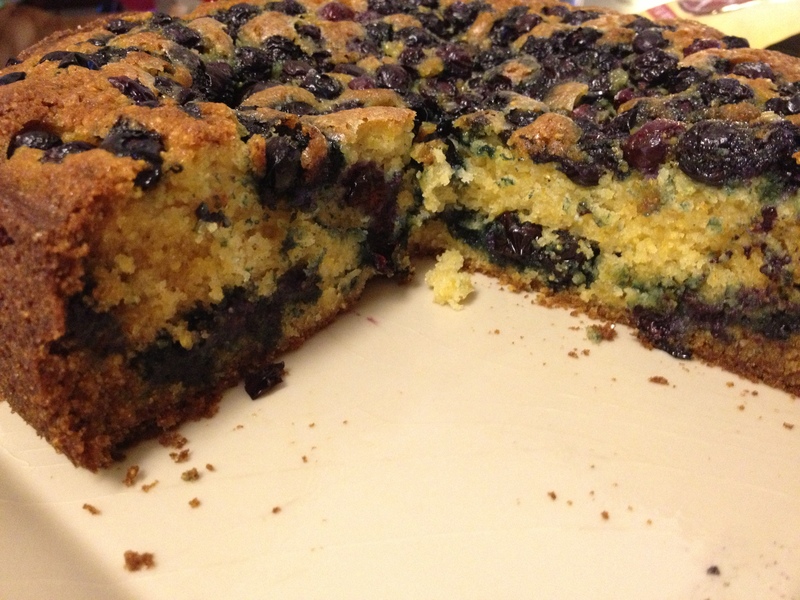 you sprinkle the blueberries on top of the batter and once it’s baked, the blueberries just sink down into it. 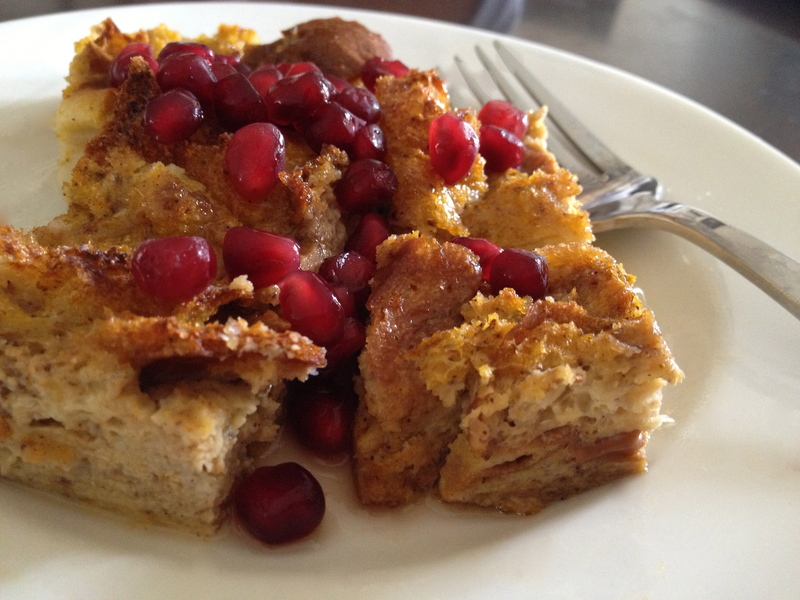 the addition of cornmeal in this recipe gives it a heartier texture than your basic cake. and makes it feel way healthier, you know, since you’re having cake for breakfast and all. 1. preheat oven to 325. spray 10-inch diameter springform pan with 2 3/4 inch-high sides with nonstick spray. 3. pour half of the batter into prepared pan. scatter 1/2 of the blueberries ( 1 1/2 cups) over batter. 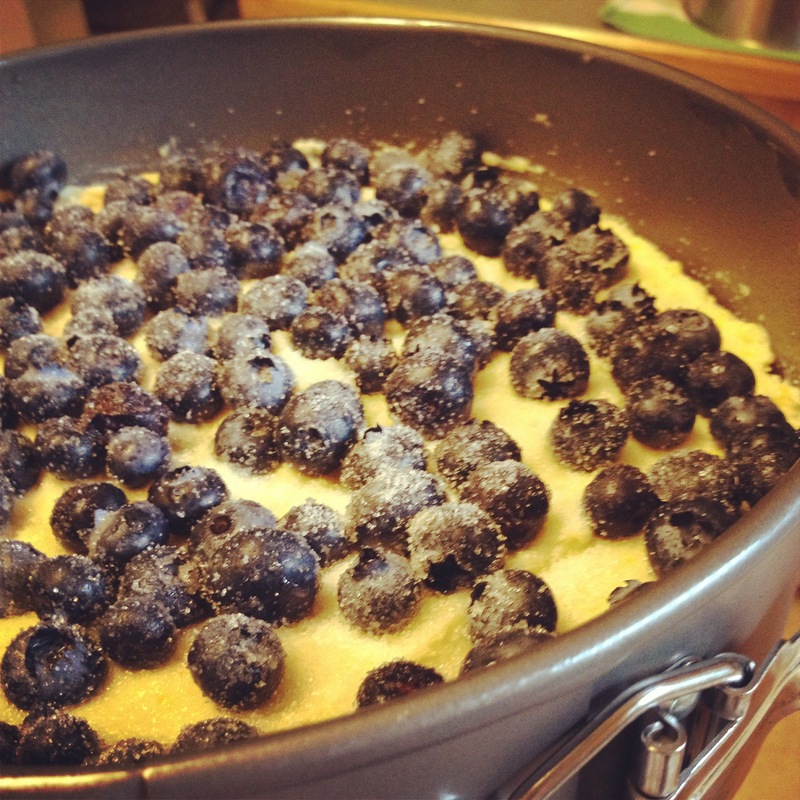 spoon remaining batter over in dollops, then spread to cover blueberries. scatter remaining blueberries over top. sprinkle remaining 1 tbsp sugar over top of the blueberries. 4. bake until top is golden brown and tester inserted into center comes out clean, about 1 hour and 15 minutes. cool completely in pan on wire rack (about 15-20 minutes). i love that this recipe is so simple. you make it the night before, refrigerate it, and then in the morning, just pop it in the oven. that makes my life easy these days, and anything that makes my life EASY? i am ALL over it. 1. butter a 9×13 baking dish. tear the bread into chunks, or cut into small cubes, and place in the dish evenly, pressing down just a bit. 2. in a large bowl, whisk the eggs. add milk, vanilla, pumpkin puree, sugar, cinnamon, nutmeg, and cloves & whisk well until everything is incorporated. 3. pour mixture evenly over bread. using your fingertips, press down on the bread to make sure every piece has soaked up the mixture. cover the dish tightly with plastic wrap and refrigerate overnight.